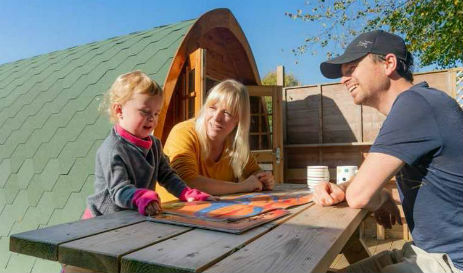 Andrewshayes Award Winning Holiday Park offers glamping on a family run holiday park, close to the coast in East Devon. Located in the beautifully unspoilt but very accessible part of the West Country its in an official area of outstanding natural beauty on the edge of the Blackdown Hills near Axminster. 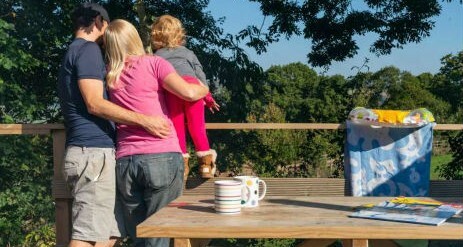 At the park you can enjoy wonderful countryside views and the best of coast and country, just 6 miles from the stunning Jurassic Coast at Seaton and only 8 miles to Lyme Regis. 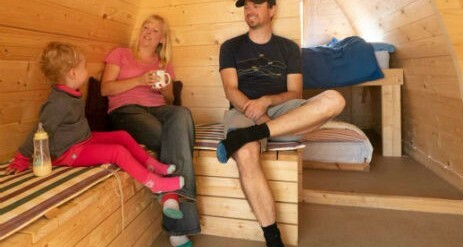 Two of our pods sit next to one other perfect for two families or couples who want to be dext door to one another! It’s a short walk to our shower, toilet and laundrette facilities and you will have free use of the park’s lovely heated swimming pool. 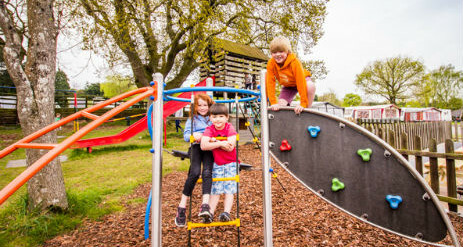 There is also an onsite café and bar (please check for opening times) or head out to one of the may local pubs or restaurants if you don’t fancy bothering with cooking during your stay. Our large swimming pool is covered by an amazing retractable enclosure. This means you can enjoy the pool from April until the end of October regardless of what the weather may be doing. The pool is heated by a combination of solar panels and a heat exchanger so we can keep it warm all the time. 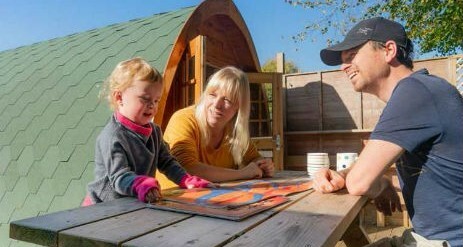 It is also surrounded by a lovely patio area and ideal for a day by the pool or to cool off after a day out sightseeing. Use of the pool is free for all Andrewshayes guests. Please note we do not have a life guard on duty so children under 14 must be supervised by an adult when swimming. Over looking the swimming pool (and part of the bar area in the evening) is a lovely conservatory. This is available for use during the day as a place to relax and watch the swimmers. There is also a coffee machine for your use. In the evenings enjoy a drink from the bar. Microwave, especially useful to warm baby’s milk or even a microwave dinner! 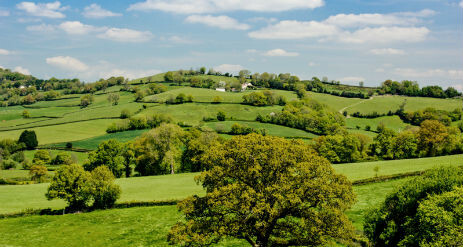 Andrewshayes is surrounded by gently sloping meadowland, tucked between the Blackdown Hills and the stunning National Heritage coastline and this means there are lovely country views all around us and the village of Dalwood. There are many pleasant country walks through lanes and woods, but for the less energetic a five minute drive will bring you to Dalwood, a typical Devon village with its Norman church and thatched 15th-century “Tuckers Arms” pub. The Corry Brook running through the village joins the Axe and reaches the sea at Seaton. Outside the village but close to Andrewshayes are beautiful Burrow Farm Gardens, where you can explore the gardens and also relax with a lovely Devon Cream Tea. Our most famous local eateries are the River Cottage Canteen (Hugh Fearnley-Whittingstall) in Axminster where you can have a good value meal or just coffee and cake, or for a special occasion there is the Mark Hix owned Oyster and Fish House in Lyme Regis with stunning views over Lyme Bay. Of course there are many other lovely pubs, cafes and restaurants feel free to ask the in reception if you want some help.